Krishna is an intern for the SpeedDesk department at TheStreet. 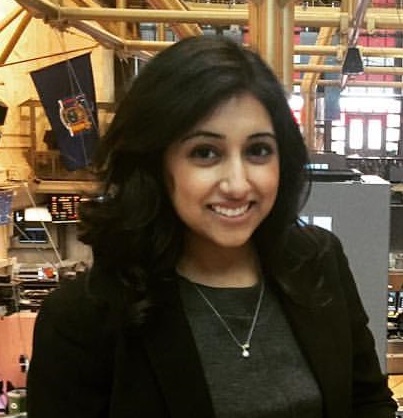 Thakker attends the University of South Carolina to earn a bachelor's degree in Broadcast Journalism and Business Administration. A Wells Fargo study shows that most millennials don't believe they could ever save a million dollars. Apple's (AAPL) next generation iPhone will look the same as the previous iPhones but will have many hardware and software improvements just in time for the holiday season. Former CEO of Continental Airlines explains the effect system wide failures can have on airlines and the process to recover from them. Athenahealth (ATHN) is working with authorities to screen a large number of individuals to help stop the spread of the virus. Zillow (ZG) reported higher than expected earnings and CEO Spencer Rascoff gave a breakdown on the company's transition from startup to mature. Nike's (NKE) decision to stop making golf clubs could be because of Tiger Woods' career. Pershing Square (PSHZF) ditches Canadian Pacific but not before generating $2.6 billion from it. Publishing groups, Universal and Sony/ATV's (SNE) bid to modify the music royalty agreement has been rejected by the DOJ. Walmart's (WMT) acquisition of Jet.com could make the company more competitive against Amazon.com (AMZN).